Property 18: New, modern and innovative building. Great Location. Safety and comfort. Property 27: Beautiful apartment, ideally located in the heart of Sao Paulo. 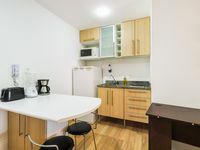 Property 40: PAIM with Rua Frei Caneca / Av Paulista / Subway HIGIENOPOLIS / Mackenzie! Your home! Property 43: Flat Transamérica Executive Faria Lima - Itaim Bibi. Cozy loft on the roof of the building! Property 46: Cozy loft on the roof of the building! Safe, Central and Friendly Neighborhood. Property 49: Safe, Central and Friendly Neighborhood.